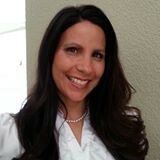 Andrea Madrid educates her own children and helps educate others. She has four children and is still homeschooling three of them. She has three grandbabies, as well! As an Independent Beauty Consultant with Mary Kay and a Spanish teacher to homeschoolers, Andrea tries to maintain and enjoy a balanced family life while educating her own children and supplementing her family income. Read how below! AM: I started my career working for health insurance companies. I have been a Customer Service Representative, Claims Processor, Auditor, and Trainer. After 16 years working in health insurance, I left and finished my college degrees in Psychology and Spanish. Since our girls were very young at the time, I decided to become a High School Spanish teacher so I could use my degrees plus be off summers with the kids. Shortly after becoming a teacher, I decided to homeschool. I currently homeschool our children and I am an Independent Mary Kay consultant. The best job I have had so far is being a Homeschool Educator for our children. I have used my degrees and I get to be their full-time mom at home! I have the flexibility to be present for our family and still have my own career in Mary Kay. AM: I became an Independent Beauty Consultant with Mary Kay in 2012. I didn’t plan on becoming a consultant; I just needed some foundation that matched correctly! I had used Mary Kay for many years so I called my consultant and she invited me to a meeting. I loved the experience! It was fun and professional. The women demonstrated expertise in their field and they made me feel welcome. I wanted to share that experience with other women. I also wanted a career that worked around our family’s schedule. AM: The best thing about Mary Kay is I am my own boss. I get to set my schedule and work around our abundant homeschool schedule. There is no minimum or maximum production in Mary Kay. I can work my business as much as I want or as little as I want. Currently, my official title is, “Independent Beauty Consultant.” At this stage of our life, I choose to stay at this level. As life changes for me, who knows where my next level in Mary Kay will take me? I may be a director or even higher! AM: The biggest challenge in Mary Kay is I am my own boss! Sounds crazy because I also listed that as one of the blessings in Mary Kay! Well, keeping track of my own schedule means being disciplined and intentional with my business. Homeschooling can consume lots of moments in my life. I have to make a decision to work my business and be willing to see it through to completion, even if I feel tired. We are taught to use systems and methods to work our Mary Kay business. These systems have overflowed into homeschooling. I use these systems with our children at home so they can be intentional with their time and talents. The biggest challenge has become a great blessing for our family! AM: The biggest advantage is flexibility. I don’t have to report to a boss, ask for time off, or meet a certain quota at home. I get to work my business around our schedule. I also really love the products and I love that our daughters use them as well. There are weekly training sessions where I learned how to teach a class, how to teach proper skin care, and manage my business. 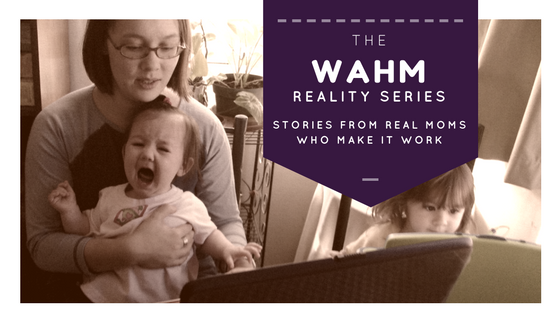 I’ve been able to share what I’ve learned with my daughters and with other women. AM: At this time, I don’t have any goals I’m working to achieve. Life has a nice balance right now between homeschooling and working my Mary Kay business. I enjoy both jobs and look forward to maintaining that balance. AM: My advice is to be intentional with your business and your family life. Carve out specific times for your family and for your business. Be present for both and don’t try to juggle both at the same time. Teach your children when you are working to respect that time and be fully present to your family when it is family time. AM: My best productivity tip is to start the day with prayer. Find some time in the morning, before the kids are up, to pray and have some quiet time with the Lord. He comes first above all and when we put Him first, we are ready for the day.